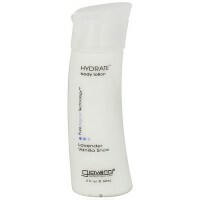 Contains uniquely soothing ingredients that smooth across skin to infuse needed moisture and hydration. It has gentle fragrances and contains uniquely soothing ingredients that smooth across skin to infuse needed moisture and hydration. Giovanni Body Lotion Raspberry Winter formula is rich in nutrients and also contains the exclusive Giovanni PureOrganic Technology blend, an advanced essential oil complex to soothe, smooth and regenerate skin's lost moisture. Your body is suddenly lost in imagination as you experience true beauty. Feel. Extravagant. Includes essential fatty acids, necessary to smooth, repair and help heal skin. Each Giovanni Organic Body Care formula contains a blend of exotic oils, ripe harvested from renewable plants at the peak of their freshness. The oils are cold pressed and refrigerated immediately to ensure maximum purity. For smoothed, soothed gorgeous skin. 100% Vegetarian Ingredients. No animal testing. Certified Organic Rubus Suavissimus (Raspberry), Sambucus Nigro (Elderberry), Mangifera Indica (Mango), Echinacea Angustifolia (Coneflower), Macrocystis Pyrifera (Sea Kelp), Olea Europoeo (Olive Leaf) and Centratia Islandica (Iceland Moss) Extracts (Aqueous), Stearic Acid Vegetable Glycerin, Cetyl Alocohol, Isopropyl Myristate, Aloe Barbadensis (Aloe Vero), Pronus Amygdalus Dulcis (Sweet Almond) Oil, Carthamus Tinctorius (Safflower), Simmondsia Chinensis (Jojoba) Seed Oil, Tocopheryl Acetate (Vitamin E), Dimethicone, Polysorbate 60, Carbomer, Hydroxymethyllglycinate, Essential Oil Fragrance. Certified by Quality Assurance International.